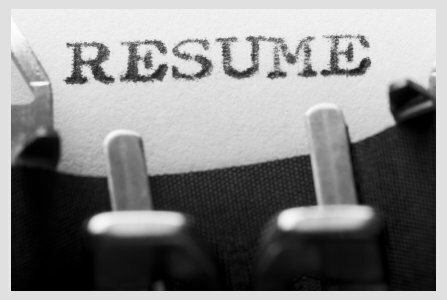 Your resume is the summation of all your skills, work history and character on one sheet of paper. This is what sets you apart from several other applicants and is the key to getting an interview. Without a great resume you will not get the job you want. About a week ago I had a guest speaker come in to my class and instruct us on how to put together a spectacular resume. Do you want to learn new skills? If so, start right now on your own. This shows drive and ambition to YOURSELF which will come across on a resume and interview. Are you willing to be a assistant for a year or so before you are promoted? Are you willing to stay late or come in early to make sure the project is done? All these questions will lead you to finding out what type of company would suite you best. Companies, just like people, have different cultures. Unlike dreaded research papers this research should be fun and very informative. You are researching what it takes to get you and your family the life you need and deserve! So reach for the stars! Research the top companies in this field. Look at available job openings for the position you wish to attain, in the future. In essence, research the ideal career position you want. What are the skill sets needed to fill this position, do you have them? If not get to know them and learn them. Look for entry positions or internships, some are paid, for the field and or company you want to go into. What skills are needed to attain this position? With you on one side and the job on the other. Do you have the skills the job needs? Very helpful sources for this are Onetonline.org and Glassdoor.com. Both of these sites have in depth information about companies and fields. Since writing a resume is a process I have decided to break the process down into different pieces as well. This way you get all the info needed but not all at once so your bored as hell reading a huge lengthy article.